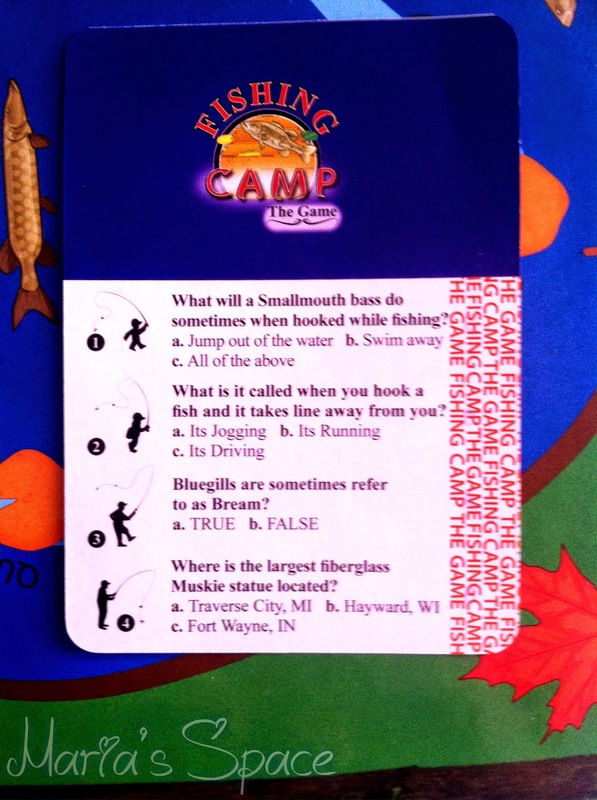 Fishing Camp the Game is a wonderful games for families that will instill the love of fishing in kids. 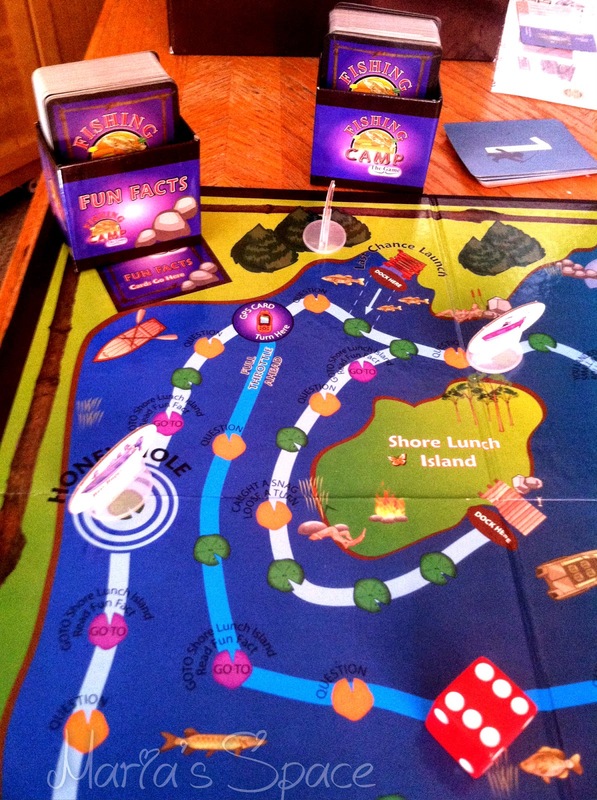 Fishing is a trivia board game that teaches new fisherman and expands the knowledge of seasoned fisherman in a fun, competitive way. 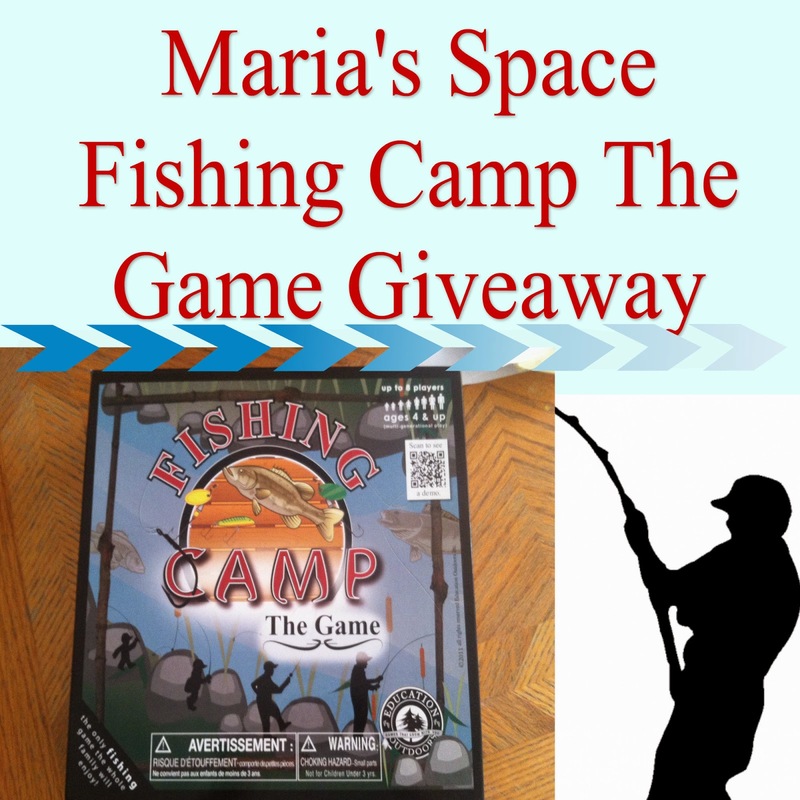 Fishing Camp is designed to grow with the player. We are not seasoned fisherman by any means so we started at level one and did pretty well with the questions. Set up the game board, pick your boat and get ready to be the first to get back to the dock with your a boat load of fish before your opponents and win the game. You can play with up to 8 players starting as young as 4. This is a total multi-generational game. What's great about this game is my 9 year old can play at level 1 while her fishing Abuelo can play at level 4 making it a clear level field for all. Roll the die, and move the total number of moves. If you land on a green lily pad the play continues to the next player. If you land on a yellow lily pad you answer the question on the card This is where it gets really cool. You need a little decoder in order to read the answer so there is no chance of someone seeing the answer. The questions are multiple choice making your chance of getting better. I did really well in this game and I have only been fishing about 4 times in my life. If you answer the question correctly, you have now caught a fish and that my friends is how you win the game! You are only allowed to keep 5 fish anything over the 5 gets discarded. You DO get to pick which fish you are taking back to the dock just like in real life. The bigger the better! Now, if you happen to answer incorrectly you are sent to Go To Shore Lunch Island were you read a fun fact! 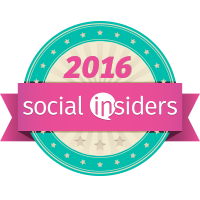 These are pretty interesting and a great way to get some education. There are lots of side notes on this game too. Like if you get to the dock and don't have fish you can move your boat to the Last Chance Launch Spot and keep fishing from there. There is a Honey Hole Spot to where you keep drawing cards until you get a fish card and hopefully answer it correctly so you can keep the fish. As a family with only one fisherman in it, we all love this game. In fact, while I also do child caring on holidays from school for two boys ages 9 and 12 we have been playing this game a lot. It was perfect during Spring Break. The kids loved it! We played at least three games a day for three days. 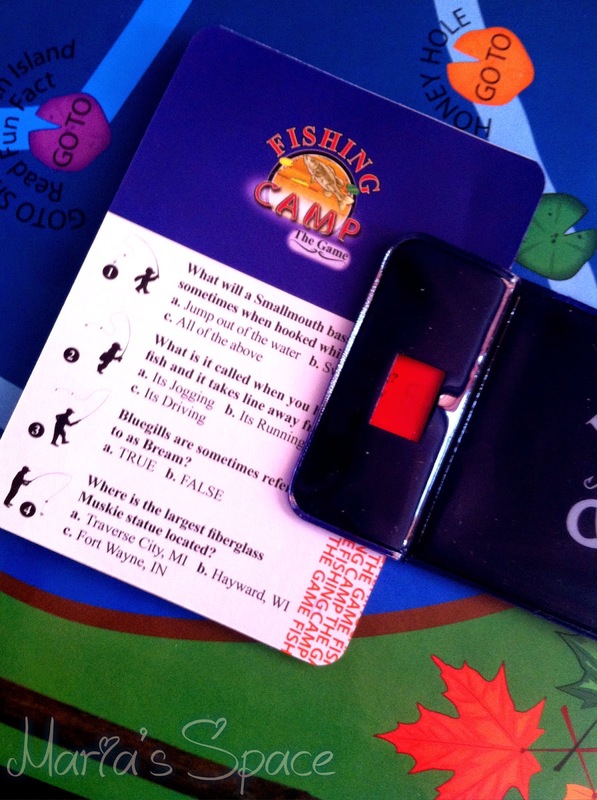 The boys DO fish and really loved this game including the GPS card which allows short cuts to the dock. Look at the size of that die. The kids kept saying it was "the biggest dice ever." 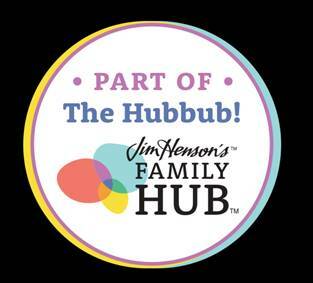 We think this game is great for all families, camps, schools, homeschoolers, 4H Clubs, Science Classrooms, or anyone who loves board games whether they fish or not. Disclaimers: No monetary compensation was offered or received to review this product. I received a complimentary product for my honest opinion. I Love the Natural Twig Colored Pencil Set! My Granddaughter is a budding Artist, and I know she'd love these pencils! 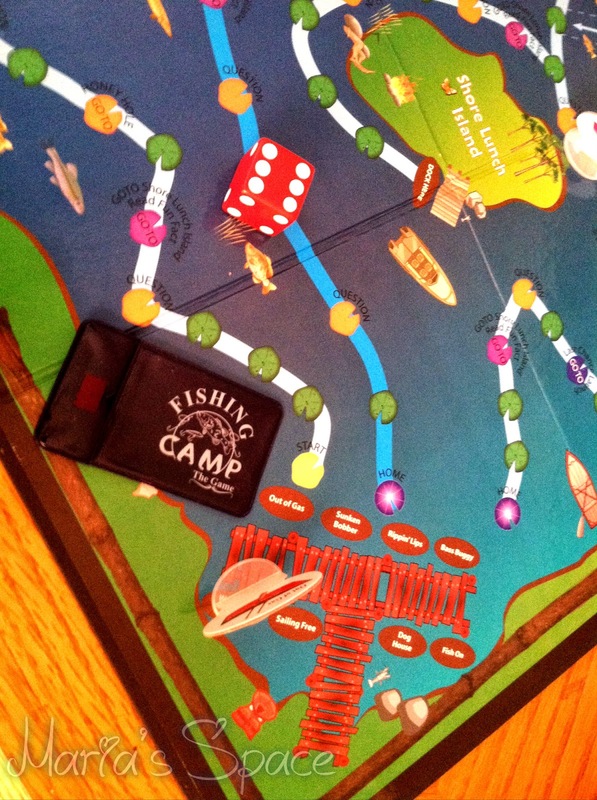 I love the Camp Boardgame. It is educational and can be played by kids and adults. I like the Camp Travel Game. I love the Pet Pods! the Natural Twig Colored Pencil Set is so cool! 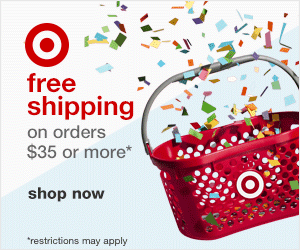 I have to order it! I love the S'mores Card Game the best. The forest pets are cute!